JOSE Mourinho gave Paul Pogba a dressing room dressing-down after his gaffe led to Wolves' equaliser on Saturday. Pogba responded later by publicly criticising his manager's tactics, leaving Manchester United in turmoil yet again. The World Cup winner lost possession after trying a clever turn on halfway in the 53rd minute of Wolves' visit to Old Trafford, leading to Joao Moutinho's goal in the 1-1 draw. 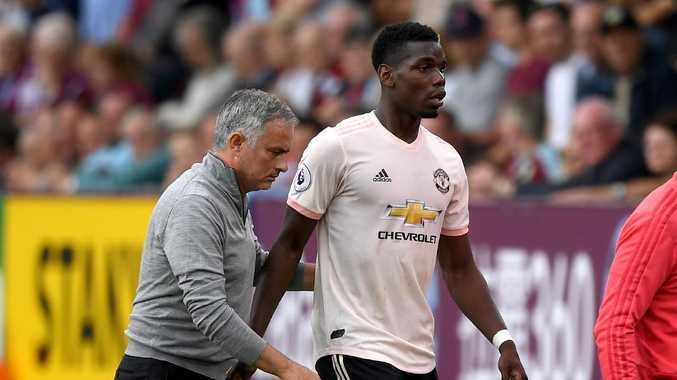 Mourinho was furious, telling the player he needed to concentrate more and those mistakes were putting the spotlight on United's uncertain start to the new season. A frustrated Pogba then told the media how frustrated he was with the manager's tactics. He blamed the game plan for United's inability to beat Wolves, newly promoted from the Championship, and bemoaned the fact they have taken just four points from their three games at Old Trafford so far. Pogba said: "When we are at home we should attack, attack, attack. "That's Old Trafford. We are here to attack. "I think teams are scared when they see Man United attacking and attacking. "That was our mistake today." Asked why the team did not attack more he replied: "I can't tell you because I'm a player. It's not me." Pogba's words add to the problems in an already fractious relationship between the manager and $A161 million club-record signing from Juventus. 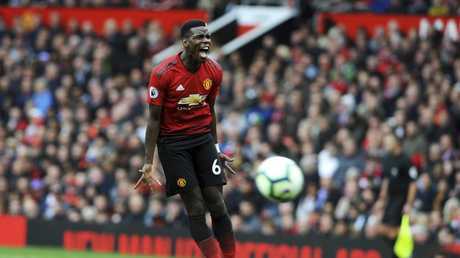 United are already eight points off the pace in the battle for the title, with historical rivals Liverpool on top following a perfect start to the season with six wins from six.